Imagine getting 90 percent of the room on your side in the first five minutes of presenting your product vision. That’d be pretty amazing, huh? 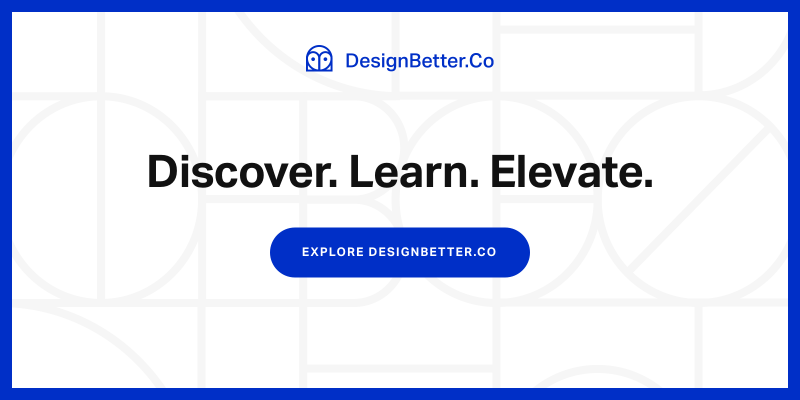 Michael Margolis, CEO and Founder of Get Storied, explained how to make that a reality in Strategic Narratives, his one-day intensive workshop put on by DesignBetter.co in San Francisco last month. Read on for my five favorite takeaways from the event. During the workshop, Michael of course hammered home that message. But this fact is even more important for innovative companies that are “disrupting” the status quo. Why? People hate change when it’s out of their control. So they’re naturally resistant when you tell them that their lives should be different. In today’s world, you’ve been Googled or Facebooked or Twittered long before anyone has heard you talk. They know your backstory, even if you haven’t intentionally put it out there. But it may not be the story you want. That’s why writing your origin story is so important. It tells your audience who you are and why you’re doing what you’re doing. It’s a bridge that lets them know your deeper motivations. And yes, they care. Think of it this way: Every superhero has an epic origin story. When you listen to stories, your brain releases two hormones. In classical storytelling, the story was a device used to teach life’s crucial lessons. So they start by scaring you—watch out for the big bad wolf!—which results in the release cortisol, the fight or flight hormone. The story concludes with a happy ending, which results in the release of oxytocin, commonly referred to as the belonging molecule. When released, this hormone makes you feel connected to your fellow humans. In innovation storytelling, you don’t want to follow this pattern. Your audience is already resistant to change, so you don’t want to start by presenting the giant problem you’re trying to solve. Just by flipping your narrative from Problem / Solution to Possibility / Obstacles, your audience will be much more receptive to hearing your vision. Many startups want to show off the results of their hard work, so they easily fall into the trap of making their product the hero of their stories. They talk about all the cool bells and whistles that they built. But the Karpman Drama Triangle explains why this is a poor approach. 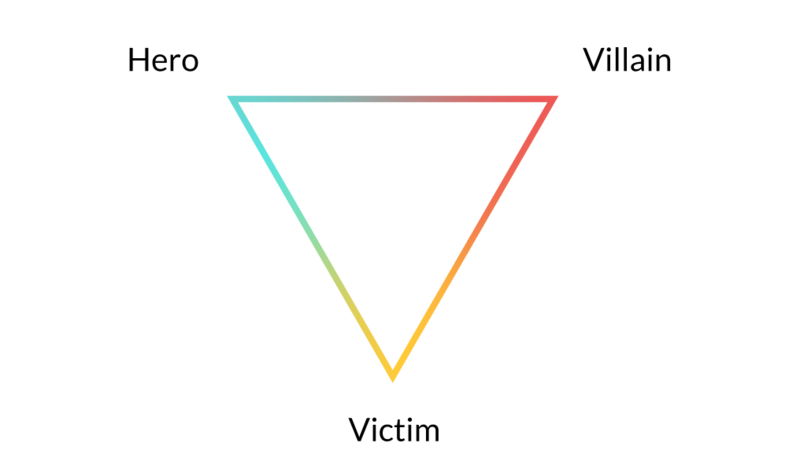 It basically says that once you have a hero in your story, you also have a victim and a villain. While this framework doesn’t map perfectly to innovation, it’s good to keep in mind. Making your user the hero ensures they don’t become a victim or a villain in your story. One example that comes to mind is the iPod silhouette commercials. They don’t talk about the engineering or specifications of the iPod. And they don’t brag about the hard work that went into creating this innovation. But they focus on you, the hero—the hip dancer bouncing around the screen. Start with the 50,000-step view. Start by telling your audience the category you’re working in, then tell them what ordinary thing you’re re-thinking. Finally, tell them the possibility of how the world could look after you’ve re-imagined it. Next, zoom in to a specific example. 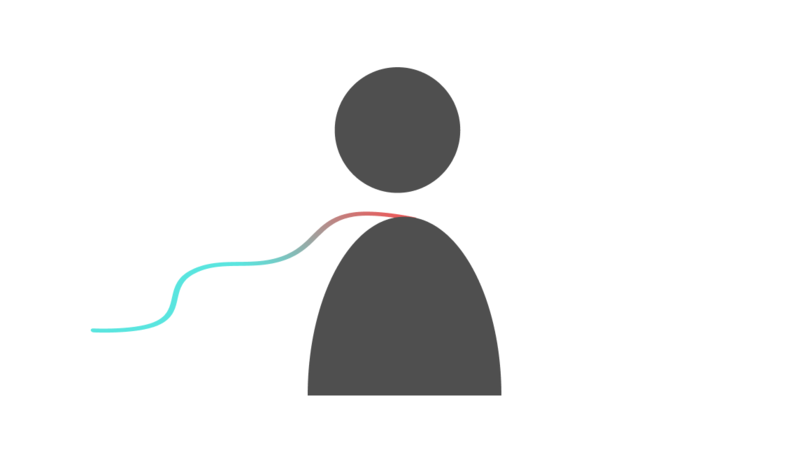 Introduce a user (or user persona). Tell your audience what your user wants to accomplish. And then tell them the dilemma your user is facing. Finally, you’re ready to show your audience the data that backs up your story. At this point you’ve primed them to be receptive to the facts. 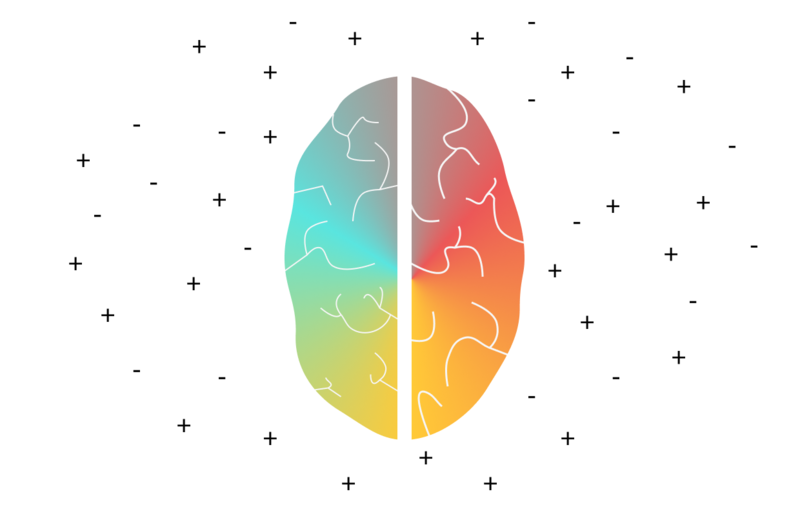 Instead of them wondering how this data fits into their old mental model of the world, they’ll use the data to validate the vision you’ve painted. If done correctly, they might even be excited to see the facts that prove you right. Becoming a good storyteller takes practice—you aren’t going to become a good storyteller by reading a blog post or by going to a one-day workshop. It’s a mindset and can be approached like any design challenge: prototype, test, get feedback, and iterate. Many thanks to InVision and DesignBetter.co for putting on a fantastic day. And thanks to Michael for all the great learnings. Pat Harrington is a product designer interested in the intersection of design, blockchain, and the future of work. As an alumni of the Stanford design program, he’s a strong advocate for human centered design and healthy design cultures. He’s currently building out the design process and user experience at Colony.io.